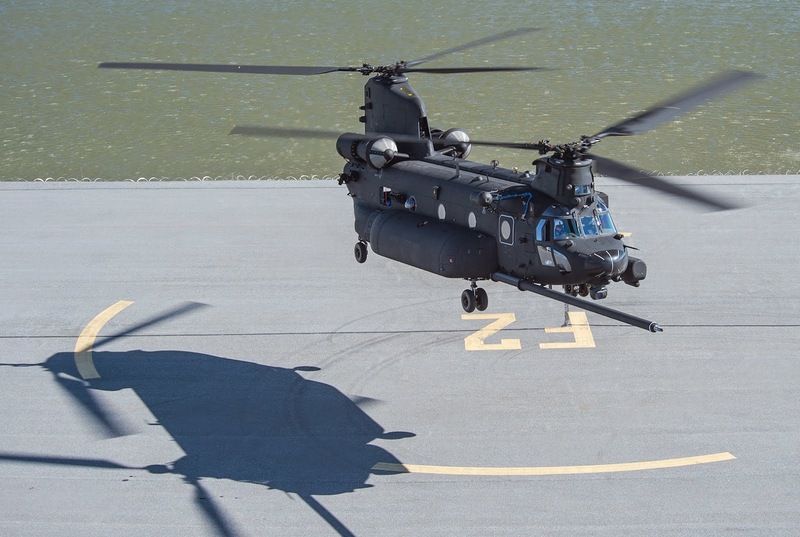 RIDLEY TOWNSHIP, Pa., – Boeing completed initial flight and delivery of the first, new-build MH-47G configured Chinook helicopter to the U.S. Army Special Operations Aviation Command Sept. 29, 2014 – a full month ahead of schedule. “It is an honor to be trusted to design, produce and deliver this advanced capability for the Army Special Operations customer,” said Steve Parker, vice president, cargo helicopters & H-47 program manager. The new build MH-47G configuration incorporates a number of production improvements to include the digital advanced flight control system, more robust, improved monolithic machined-frames, and improved air transportability. The entire program, valued at approximately $300 million, calls for eight aircraft deliveries through 2015. Boeing MH-47G Special Operations Chinook.